Technology has been the biggest factor in moulding the defensive measures of the military industry. This pushes the industry to come up with innovative solutions that can improve their operations. Infact, industrial computers have been crucial in military operations due to their durability and ability to handle multiple information.Because of the advantages that the military canbenefit from these ruggedised computers, they arenow beingused incontrollingUnmanned Aerial Vehicles (UAV). So, on this blog, learnmore about the functions ofanindustrial computerinMilitary UAV Base stations.This includes itsprogress in the field of aerospace and defence community. Military UAVs are being developed to conduct broader functions and interoperability. However, advancements in this field would not be possible if computers being used could not withstand the extreme environment. Hence, industrial computers are being utilised in a military UAV base station. But, there arealsotwo important requirements for UAVs to meet so they can be used in the military industry: automation and remote piloting. Automation is being utilised in this industry such as automated imaging from the surrounding environment in high-risk situations. Remote piloting allows high-risk missions to be successful without direct intervention of a humans. These two crucial requirements can only be accomplished with the use of industrial computers since they can withstand the extreme environment of the military while aiding in the automation and remote piloting process.Some ofthe advanced functions of UAVs which require the use of industrial computersare reconnaissance, target anddecoy, deminingand combatoperations. Now, why should the military use industrial-grade PCs for UAV command stations? Let us explore the capabilities of this computing device. Why should industrial computers be utilised in military UAV base station in contrast toacommercial-grade PC? Both technologies can be programmed for automation and remote piloting. However, industrial computers were built specifically for extreme environment which make them fit for military industry use. Here are some of the capabilities ofindustrial computers for military UAV base stations. Environmental threats that can typically harm computers are rugged terrains, humidity, intense vibrations/shock, and extreme heat or cold. Industrial computers are enclosed in a metal housing and built with other protective layers so the computer can withstand these threats. An industrialpanel PC hastheLCD, motherboard and other electronicsin only one enclosure which makes it compact. Inaddition, it canbe wall-mounted or placed on a pedestalfor ease of access.This can save workspace to make way for other devices or it can be set up in conjunction with other technologies. Military UAV base stations always have critical missions which require 24/7 operations. It is a must that the units involved in the operations can withstand a 24/7 usage and has low power consumption. Industrial-grade computers have built-in cooling system to prevent the unit from overheating. Computers are crucial in the daily operations of military. However, the setup is undeniably exposed to harsh environment that can endanger the computers and risk important operations to stop. Industrial computers were constructed to withstand extreme situations. Thesecancontinuouslybeintegratedtomilitary UAV base stations.As a result of advanced technologies, industrial computers are no longer being limited to military operations. 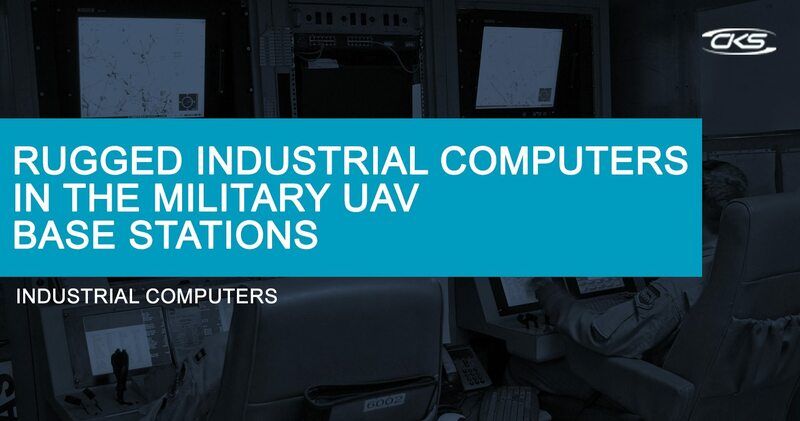 Now, these advanced computing devices are being utilised in research and development of UAVs since their durability allows them to gather data in real time.Contact a computer manufacturertoday and start integrating industrial computers to military UAV base stations.